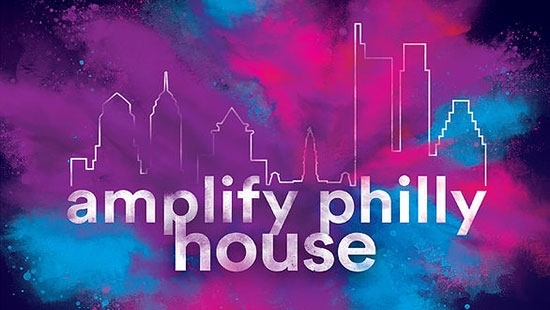 PHILADELPHIA - For the first time, Philadelphia's coordinated presence at SXSW will include an Amplify Philly House to promote the city as a hub for innovation across multiple industries. Organized by REC Philly, Witty Gritty and Philly Startup Leaders, the 2018 Amplify Philly House will highlight the companies, artistry, and technologies developed here. The House, activated inside a two-story restaurant on one of Austin's busiest corridors - 6th Street, will be open on Sunday, March 11 and Monday, March 12, and feature more than 15 hours of Philadelphia-centric programming each day. Following his own experience with the tech conference last year, Mayor Kenney has repeatedly highlighted the need to increase representation of minorities and women in tech. So this year, in addition to its sponsorship through StartupPHL, the City of Philadelphia set out to showcase the diversity of Philly's tech scene at SXSW by covering the registration costs for four young, minority startup founders to attend. Emeka Oguh (PeopleJoy), Muhga Eltigani (NaturAll Club), Nate Nichols (Palette Group) and Earl Knight (GoBabl) will join the Amplify Philly delegation. "I am thrilled the City is able to be part of the Amplify Philly effort again in 2018, and I am proud that we have increased our commitment to also support some of Philadelphia's brightest young entrepreneurs," said Mayor Jim Kenney. "This initiative is proof of our city's collaborative spirit, bringing together investments from corporate partners and anchor institutions with the creativity and innovation of our tech and artistic communities. Philadelphia's place on the national stage has been steadily growing, and our participation in influential conferences like SXSW will only strengthen our standing. Amplify Philly is poised to put on our city's biggest showing yet at SXSW, and I look forward to seeing the impression they leave on budding entrepreneurs and tech giants alike." On March 11, daytime panels will be tied to the theme of "Supercharging Your City," with multiple discussions including "The NorthStar Connection: How Philadelphia is Supercharging Inclusivity and Becoming a Tech Diversity Hub" and "Healthcare Disrupted." On March 12, activities will touch on the topic of "Grit & Hustle," with speakers tackling issues such as how to make an impact in retail and community influence on art and public space. There will also be a special 1-on-1 interview with La Colombe Co-Founder & CEO Todd Carmichael. Visit Philadelphia will host a "Homesick Philly" Happy Hour, where they will welcome Philadelphia residents past and present to experience the Brotherly Love in Austin. The event will be hosted by Chill Moody, hip-hop artist and Philadelphia Music Ambassador. The Amplify Philly House will also feature a tradeshow-like setup where local startups and the initiative's sponsors will be able to promote their businesses and meet with fellow SXSW attendees. Local coffee roaster La Colombe will be part of the all-Philly atmosphere, serving draft lattes and other product to attendees; and Philadelphia brands like Tastykake and Tony Luke’s will be on hand to provide snacks. Evening programming will include an "Amplify Philly House Party" on March 11, featuring Philadelphia legend DJ Jazzy Jeff. On March 12, the House will host a concert with an all-Philly lineup, including performances by DJ Aktive, Zeek Burse, Ivy Sole, Ceramic Animal, ILL Fated Natives, Hardwork Movement, Vita & The Woolf, Son Little and Low Cut Connie. The Amplify Philly House playlist on Spotify features music from the artists performing during SXSW, as well as other classic Philadelphia artists, and it will serve as the backdrop for the House in between events. For everyone back in Philadelphia, iradiophilly will be live streaming the March 12th concert. You can listen to the broadcast on the iradiophilly app or online at http://www.iradiophilly.com/amplifyphilly. This is our 4th year broadcasting the official Philadelphia showcase in Austin partnered with Rec Philly and Amplify Philly. "From the way the community comes together to fundraise, to the programming we have planned over two days in the Amplify Philly House, no other city, state or country does it like us,” said Dave Silver, Co-Founder of REC Philly and Amplify Philly organizer. “This is as Philly as it gets, and I wouldn’t want it any other way. We will be halfway across the country, but when we are at the Amplify Philly House in Austin, it’s going to feel like home. Our city will be in the spotlight, where it belongs, showing an influential, international audience, all that Philadelphia’s growing startup, tech and arts communities have to offer." The 2018 initiative is made possible through the support of sponsors, including: StartupPHL (City of Philadelphia & PIDC), Comcast NBCUniversal LIFT Labs, Visit Philadelphia, Chariot Solutions, Guru, Webjunto, Penn Center for Innovation, Tonic Design Co., Arcweb Technologies, GoPuff, Zivtech, Temple University Alumni Association and Campus Philly. Additional in-kind services have been provided by Fine Line Tees (printing partner), 20/10 Solutions (branding partner), Mid Atlantic FX (production partner), and Ballard Spahr (legal partner). The City of Philadelphia will be represented by Kathryn Ott Lovell, Parks & Recreation Commissioner, at a panel on “Reimagining the Civic Commons,” where she will share her insights into how the City’s Rebuild program and other initiatives aim to make public spaces more equitable, accessible and community-driven. Francisco Garcia, Director of Business Development: Innovation & Technology, will serve as a mentor for the SXSW Cities Summit, meeting with various individuals and companies who are interested in learning more about Philadelphia’s place as an innovation hub and business location. Prior to the group’s departure, Amplify Philly will host a community meeting at La Colombe Fishtown on March 5 to provide an overview of planned programming and give attendees a chance to get to know their fellow Philadelphians who are traveling to SXSW. Philadelphia businesses and residents who will be at SXSW 2018 are encouraged to attend the community meeting and can register online. Additional programming details and updates will be made available on amplifyphilly.com and on the initiative’s social media accounts (@amplifyphilly on Twitter and Instagram).